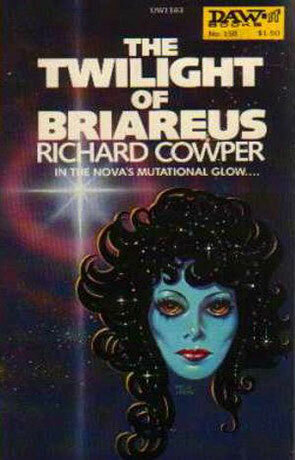 The Twilight of Briareus is a science fiction novel by Richard Cowper. Getting bad weather as after-effects of a nearby supernova, seems quite reasonable, but the people of earth are in for a lot more that they had expected. Humanity wakes up on the brink of a new ice age and is forced to recognise that everybody is sterile. Add reports of strange connections between the young people who call themselves Zetas and you have the main ingredients for this book. Very English and very much something that could be a product of the university milieu of the main character, Calvin Johnson. The Twilight of Briareus is an interesting story that suffers a bit under the passage of time. Not so much that it's unreadable, but the story seems unfocused at times and the idea of the Zetas and their understanding of each other can seem a bit to much like a SciFi'ian rendition of peace, love and understanding. Written on 3rd March 1999 by TC.